Convert DVD collections for Christmas to enjoy on your iPad, iPhone or Apple TV! 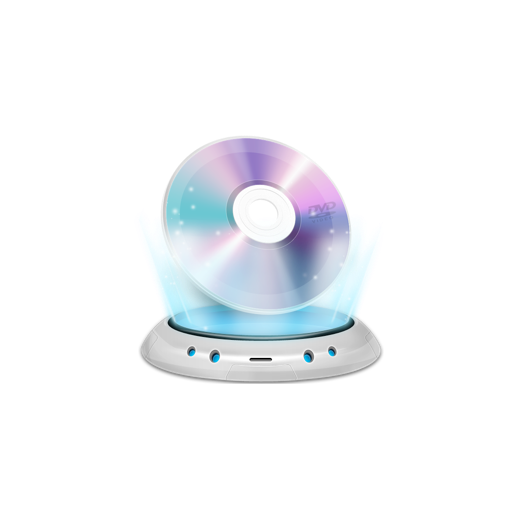 DVD-Ripper Mac App Store version only works with un-encrypted DVDs. If you want to rip protected DVDs, please contact 'Kaka@wondershare.com' before purchase. 1) Easy-to-use DVD ripper and DVD audio extractor. 2) Helps you easily rip un-encrypted DVD for playback on iDevice, smart phones, Kindle Fire, Xbox One, PSP, PlayStation 4 and other portable devices. 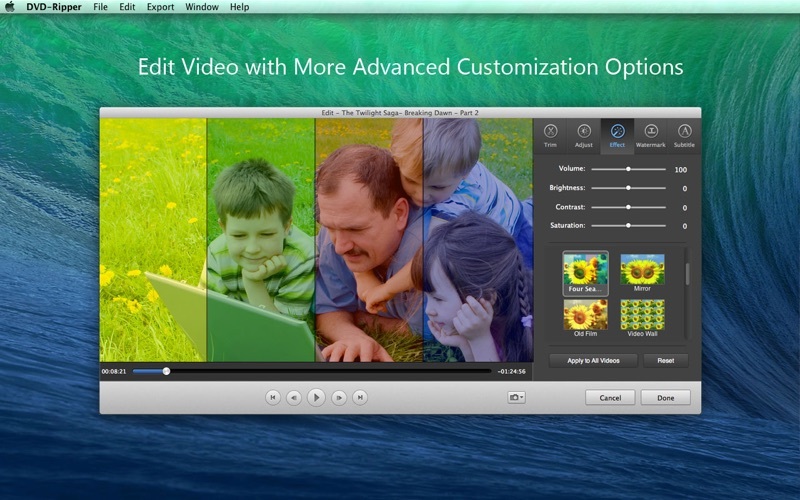 3) You can get optimized output formats to perfectly fit iMovie, YouTube, Final Cut Pro, Adobe Premiere Pro etc. • Enables you to enjoy DVD movies easily on all popular devices: iPod, iPhone, iPad(Retina supported), Apple TV, kindle Fire, Xbox One, smart phones and more. • Set the start time and duration to get a segment, select target audio track, subtitle and angle to make the ripped DVD movies suit you more. 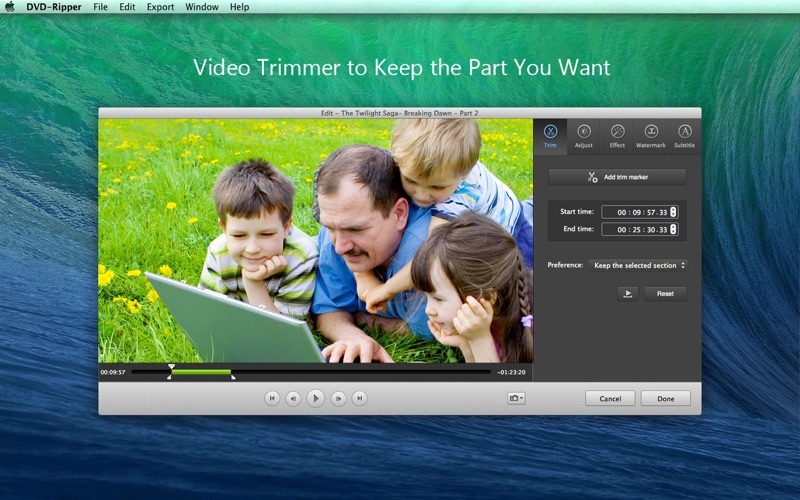 • Trim the video to pick up video segments you want or remove unwanted parts. • Crop the video image size to get rid of the black border, commercial mark, or something else you dislike, watch video in full screen, support 16:9 and 4:3 model. • Awesome iTunes library- Help you retrieve and add movie's metadata such as artwork, actors, directors, episode name, and etc. The information in the metadata can also be edited. 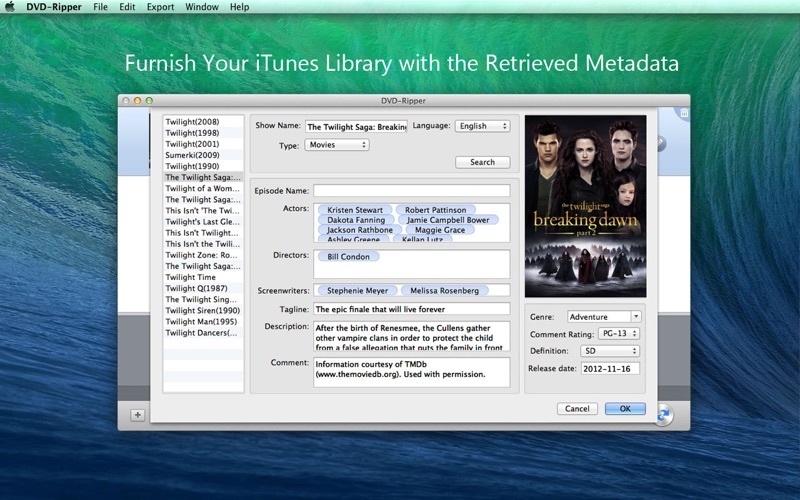 The converted videos, together with the retrieve metadata will be transferred and synced onto iTunes library. We'd appreciate it if you could please write a quick review of this app. 4. Optimized video trimming function. UI fine tunes and minor Bug fixes.